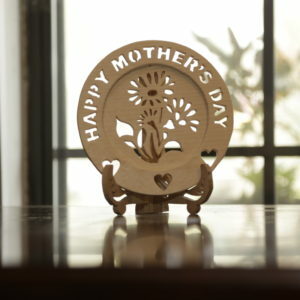 Handcrafted out of wood and arresting in its beauty, this Wooden Mother’s Day Gift is the perfect unique piece of art to give your mother on Mother’s Day! Arresting in its beauty, this Wooden Mother’s Day Gift is the perfect unique piece of art to give your mother on Mother’s Day! 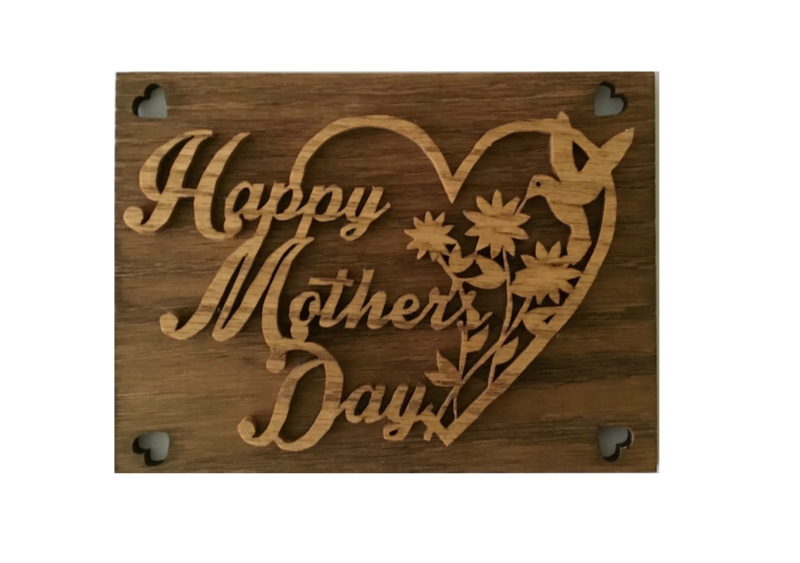 Crafted out of wood, the Happy Mother’s Day motif on this wooden plaque includes a heart, flowers, and a hummingbird. This piece makes the perfect unique gift to send to a mother that lives in another town, city or state! The love that is evident in the painstakingly cut details are sure to convey to your mom how special you think she is. Attach a hook to the back, and this can be hung on a wall as a piece of art. Used as a wall sign, wall plaque, or piece of art, this Mother’s Day piece is something special!